How do you celebrate your friends? Maybe you organize a monthly girls’ night, talk to your BFF on the phone every night, or tag your friends in memes throughout the day. But do they really know how much they mean to you? 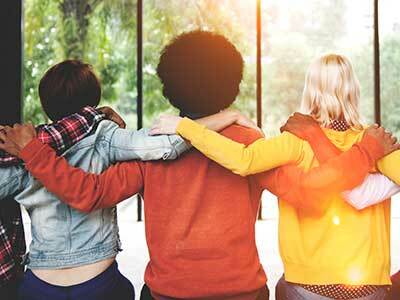 Asa Soltan, author of GOLDEN, shares some easy ways to cultivate your friendships. Once you have found your golden tribe and cleansed it of any jealousy or competition that may have been lurking in those relationships, it’s time to nurture and cherish your precious, sacred friendships. In case you haven’t noticed by now, a lot of the rituals in this book are about cherishing the positive things in your life. That’s how you get more of them! Friendships are definitely one of these things. They are so special and bring more peace and happiness than most people realize. Take a class together or start running together. Move together toward mutual growth. Your friendships are great vehicles for change and growth. Use them! When you talk on the phone to your friends, make sure you’re not only talking about your problems. Strive for balance. Be sensitive to your friend’s needs. A lot of people don’t ask for help when they need it, but if you pay attention, you’ll notice when a friend seems down or out of sorts. Ask him or her about it. Actively listen and try to help find solutions. This isn’t about being nosy or irritating. Instead, be sensitive to what your friend is going through. Maybe just talking about it is really hard for him or her. Let him or her know that with you, there’s a safe environment to talk about anything. Work to create that nonjudgmental, loving, and honest environment where your friends can be themselves. Back in high school I used to make mix tapes and collages to go with them for my friends. They were unique, one-of-a-kind creations, and they were so special. People don’t do things like this as much anymore. It’s easier to just go to the mall and buy a gift. But putting thought and time into something is always worth so much more. Just like you’re creating a family ritual to share a meal with one another, find a small but meaningful ritual to share with your golden tribe. This will nurture the friendships for years to come. Between seasons of Shahs of Sunset, there’s a period of time when we’re not shooting, and we love to hang out together. Last year, Reza had an idea to go to this health spa in Mexico. It was the kind of place that had sports classes, healthy food, yoga, meditation, swimming—you name it. MJ, Reza, and I went together, and we affectionately referred to it as “fat camp” because we all wanted to get in shape while we were there. We all stayed together in our little cabin, and the first morning we got up at five thirty to go for a hike. We were miserable and grumpy at first, but Reza got up and blasted Rihanna to get us up and moving. Day by day, that became our ritual—listening to Rihanna as we woke up and got ready for the day. To this day, whenever I hear Rihanna, I think of those happy times with my friends. Rituals can be as simple as listening to a song, sharing a meal, or going on a lavish vacation. Make the memories you want to share, and cherish them. Need an idea for a fun summer activity with you are your group of friends? Try a book club! We’ve rounded up some of our favorite summer reads. Excerpted from Golden by Asa Soltan. Copyright © 2017 byAsa Soltan. Used by permission of the publisher. All rights reserved. 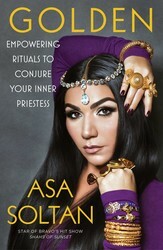 Persian Pop Priestess and Spiritual Gangsta, Asa Soltan shares seven sacred rituals on beauty, love, career, family, and friendships. She finally gives her loyal legion of fans the book they’ve been begging for, providing them with the tools to find confidence, empowerment, and channel their inner priestess. Asa Soltan, also known as the Persian Pop Priestess and Spiritual Gangsta, is the star of Bravo’s hit realty show, Shahs of Sunset. Asa lived on three continents and spoke four languages by the time she moved to the United States at fifteen. The Islamic revolution and decade-long war were the backdrop of her early childhood, and paved the way for her own personal revolution to build confidence, spirituality, and remain at peace among life's daily trials and tribulations. Known for her glamour and down-to-earth spirituality, Asa is also an internationally recognized multimedia artist, philanthropist, and entrepreneur.